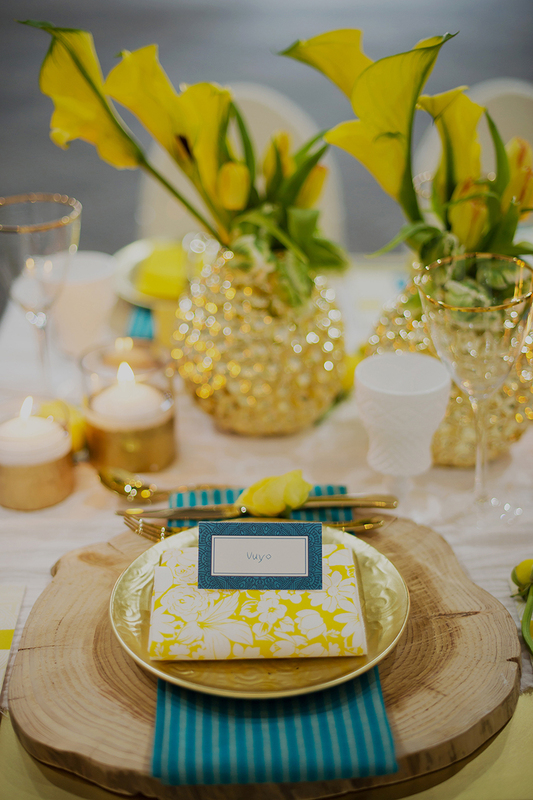 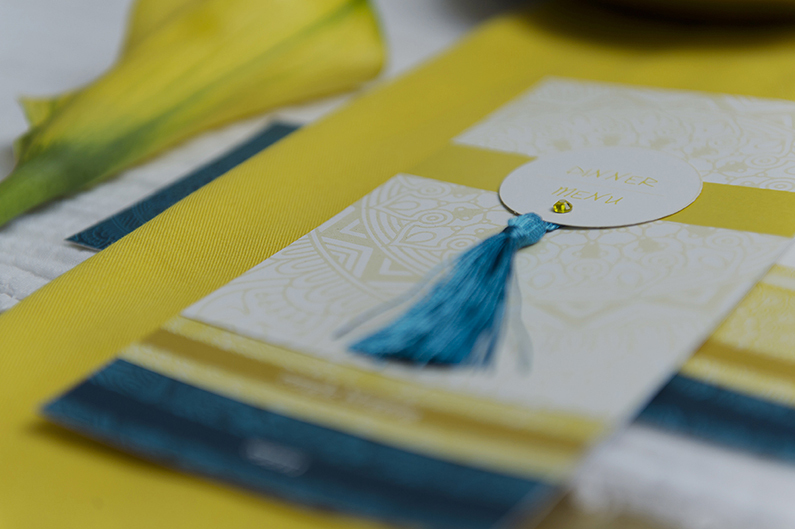 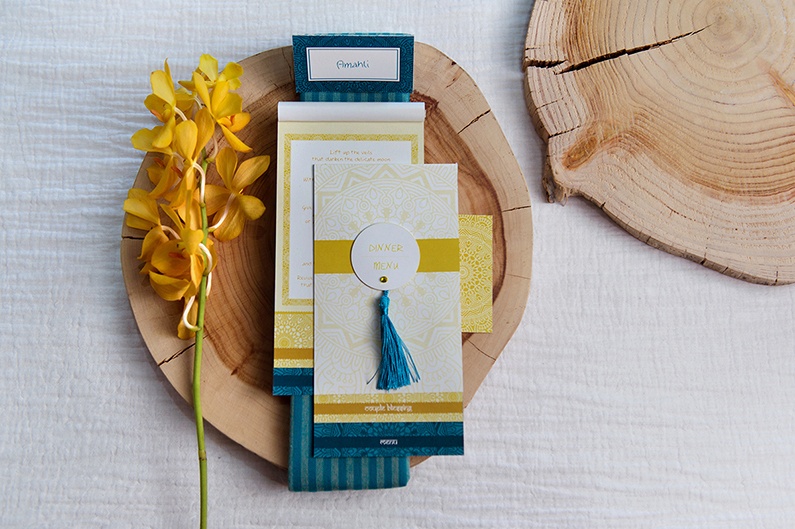 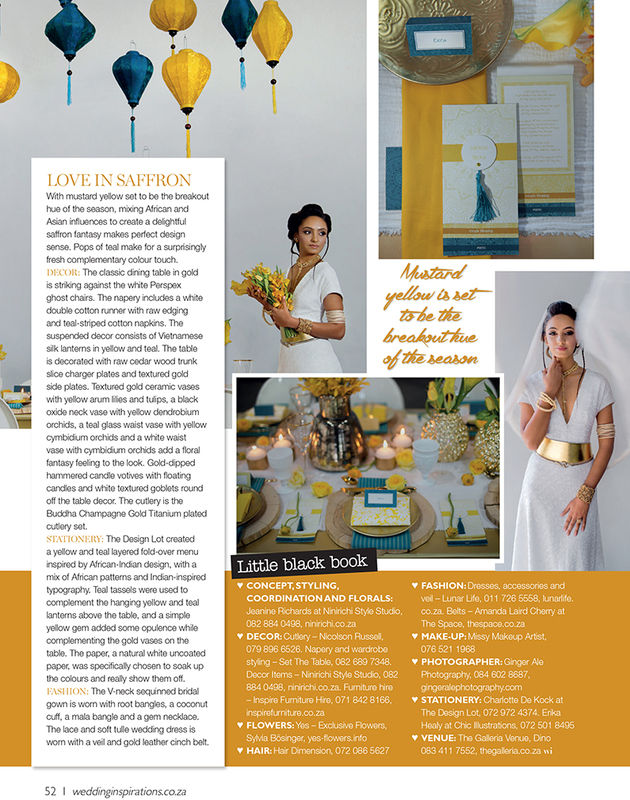 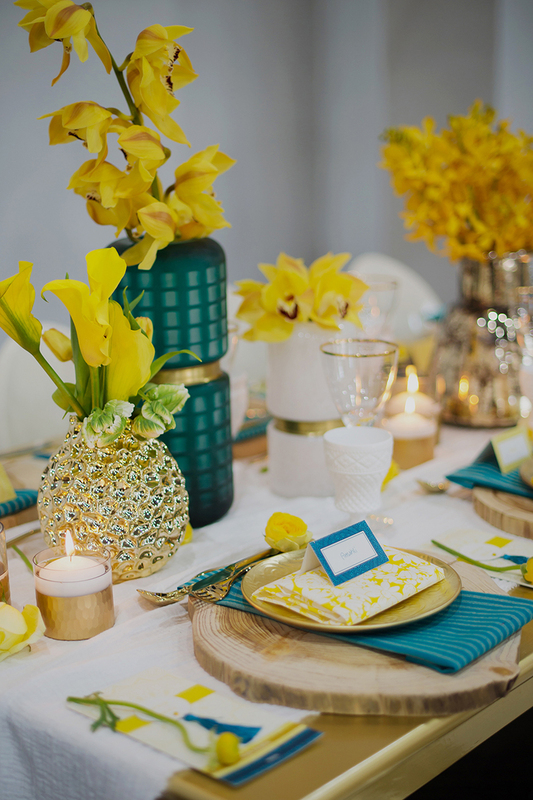 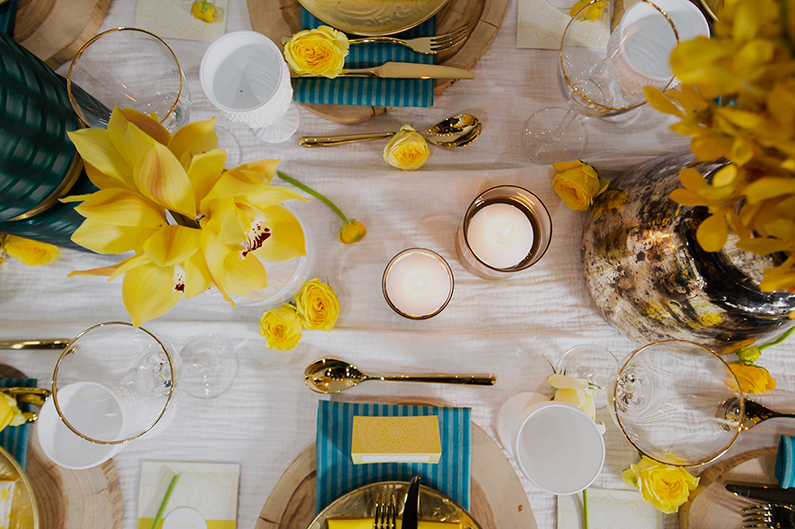 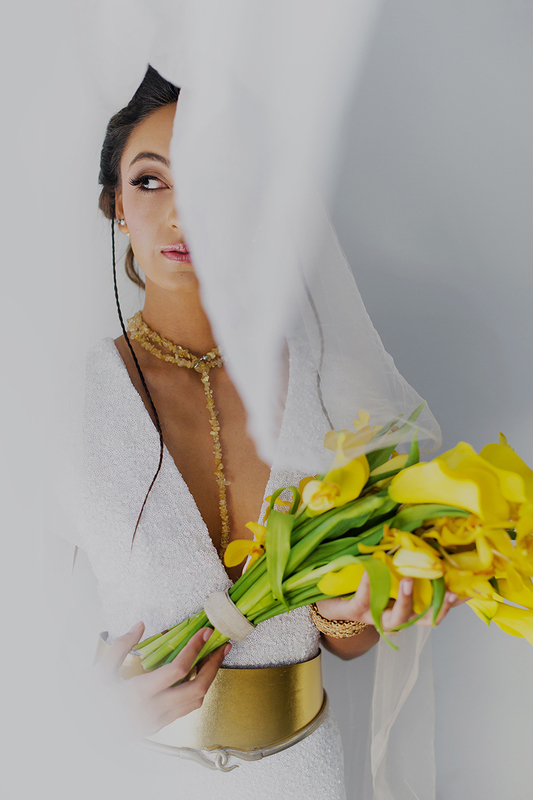 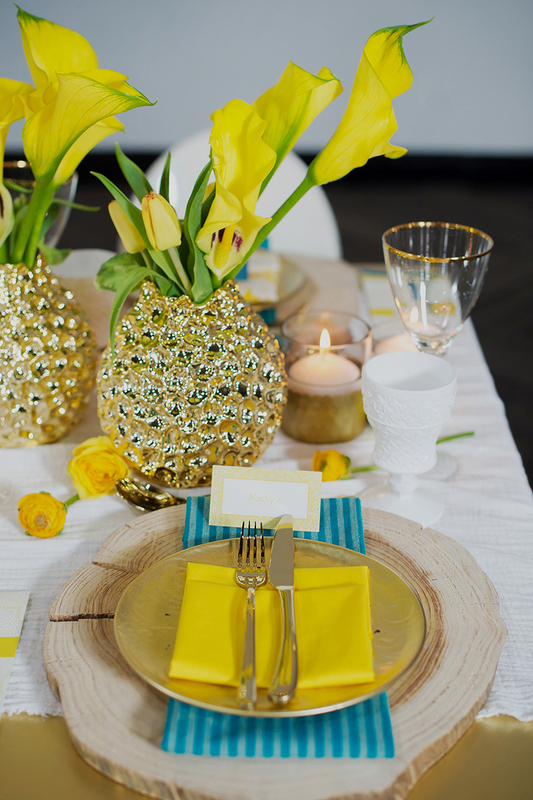 We worked with striking teal, yellow, white and gold for our second styled look created for the Afro-Asian – East meets West wedding concept shoot. 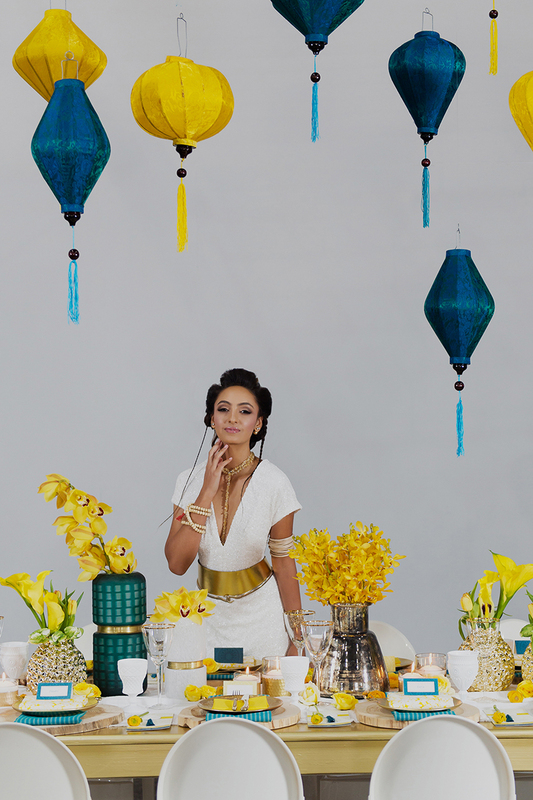 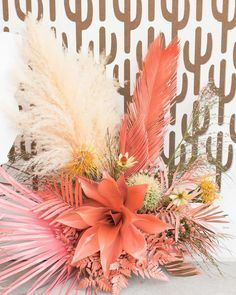 Exotic oriental influences paired with more subtle African indigenous and patterning touches – created a uniquely bold yet harmonious styled look. 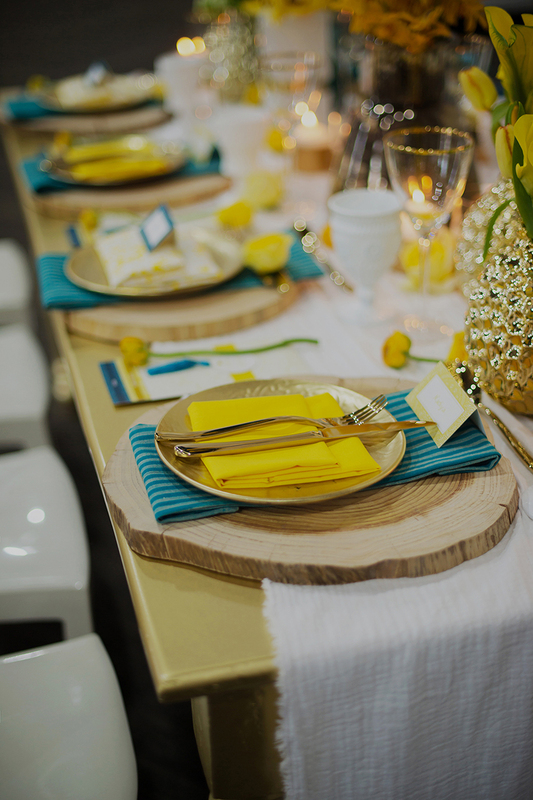 Ivory perspex Ghost chairs paired with a classic golden dining table, was adorned with a white natural raw-edge cotton runner, yellow and teal napkins, cedar wood slice chargers, vases in a mix of textured gold, black oxide, and teal glass. 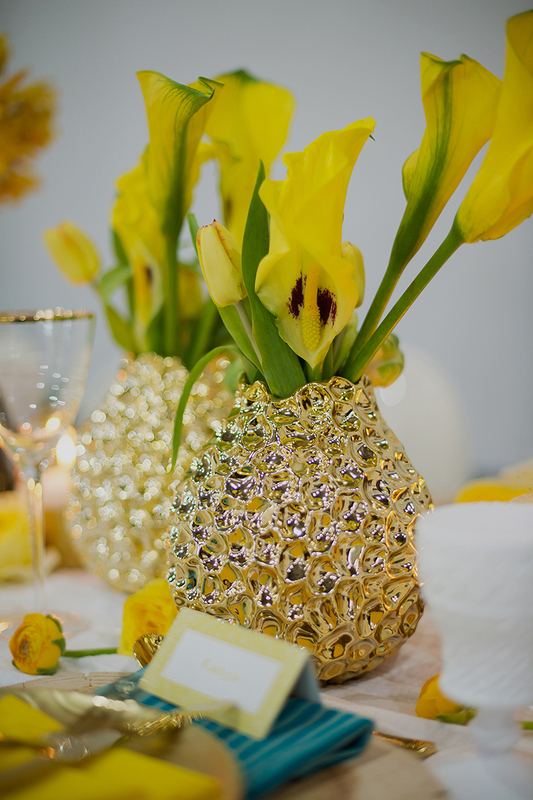 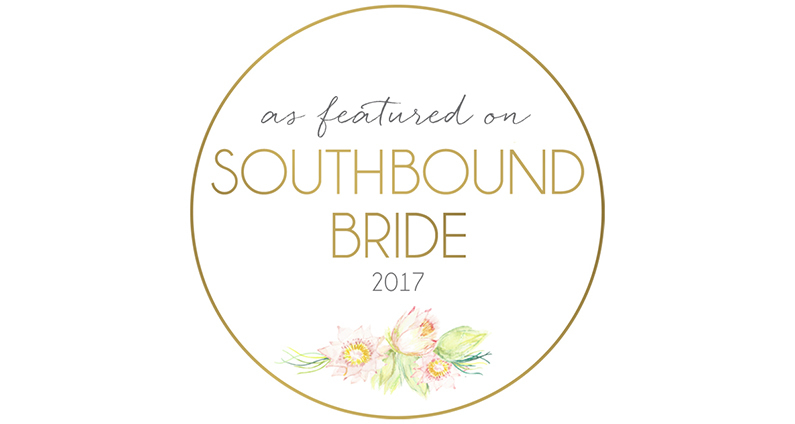 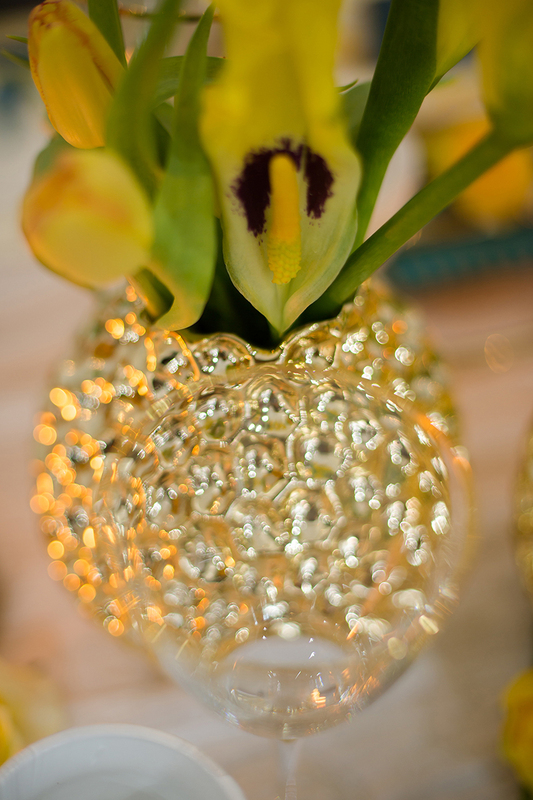 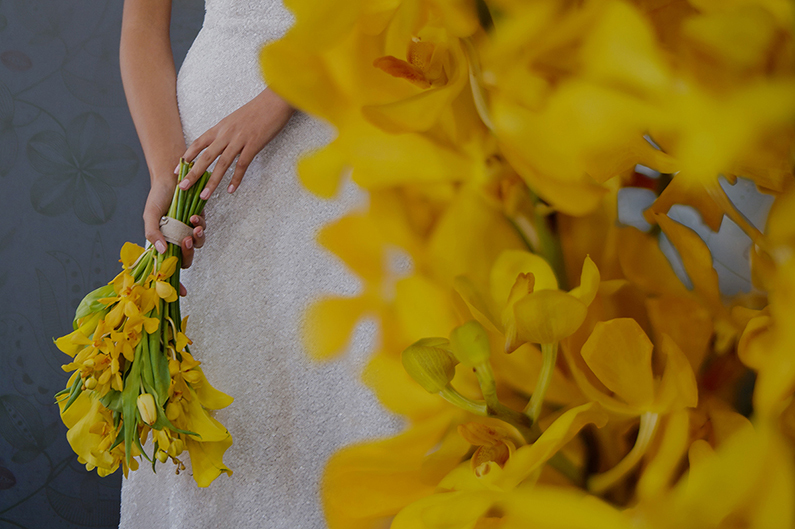 We worked with a combination of yellow dendrobium and cymbidium orchids paired with African Arum lilies in the floral arrangements. 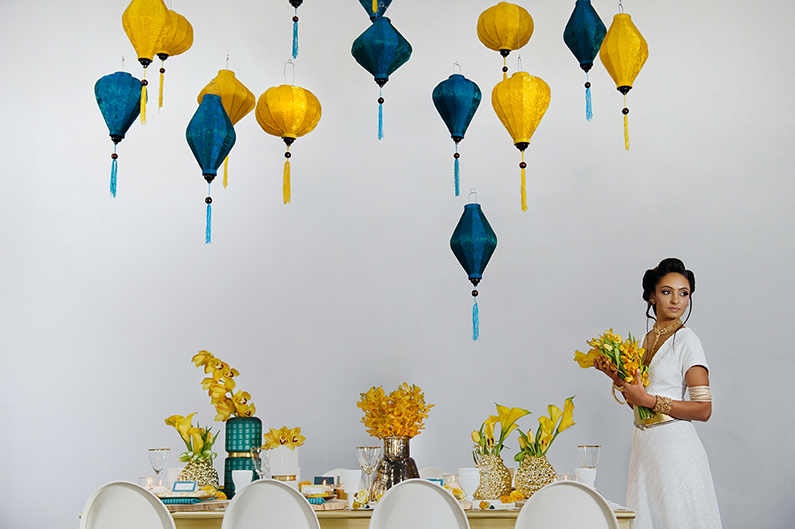 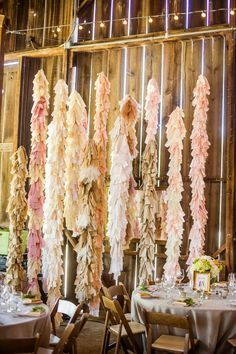 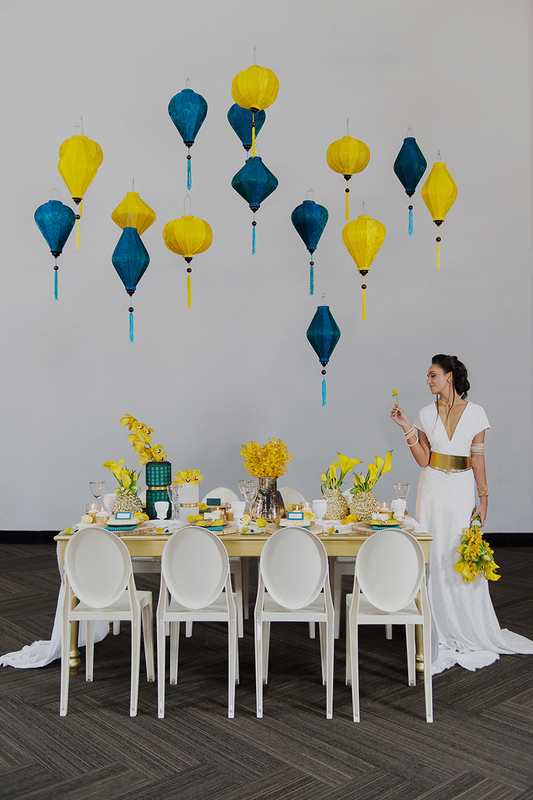 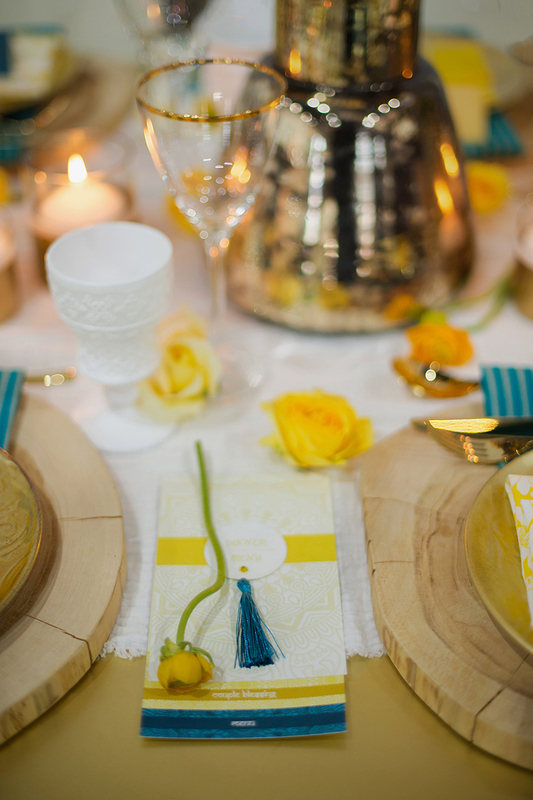 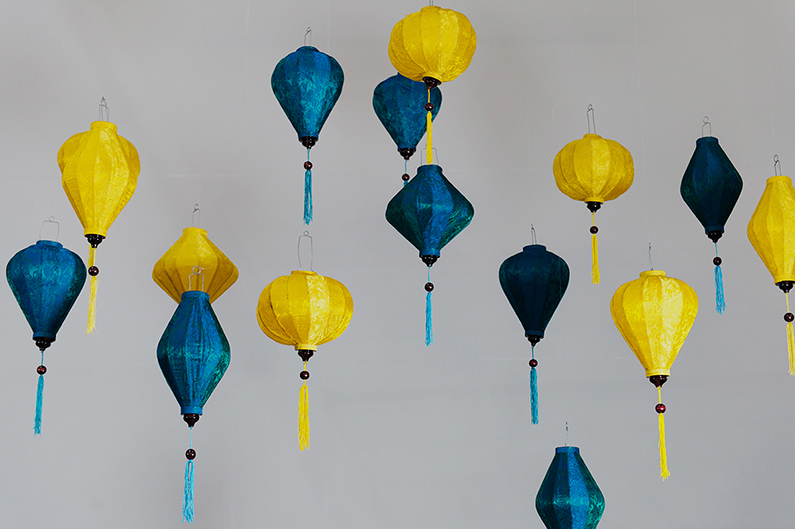 Teal tassels were used in the stationery to complement the Vietnamese silk lanterns suspended above the table. 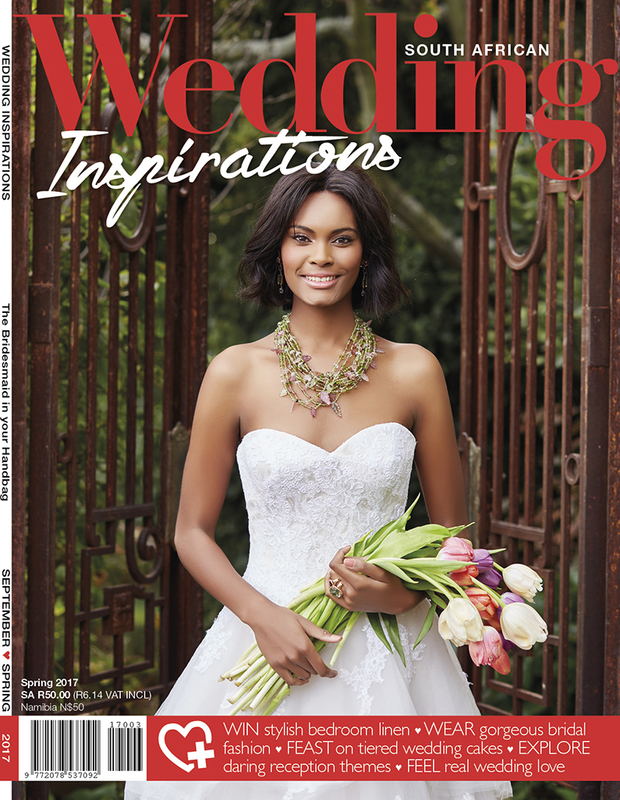 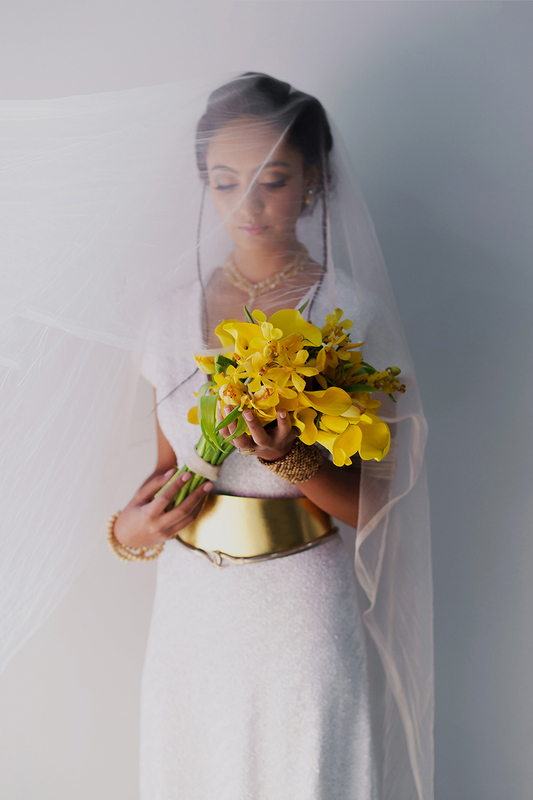 Exquisite bride with her striking yellow floral bouquet we designed.